When most of us think of pesto, we assume it’s either A) a green paste that is added to pasta and other dishes or B) a paste that is made with pine nuts and Parmesan cheese. 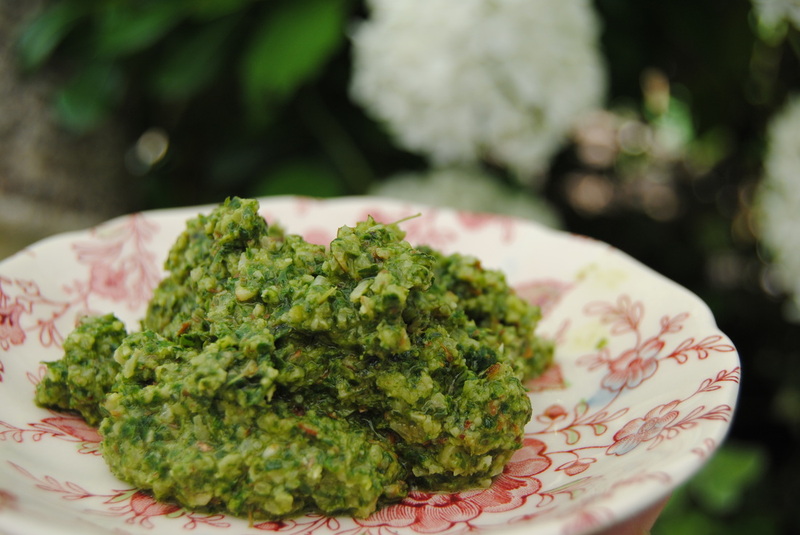 These are the traditional ingredients to make pesto but there are many other ways to make it. Generally speaking, along with garlic, salt and olive oil, it needs a herb and a nut to make the paste. 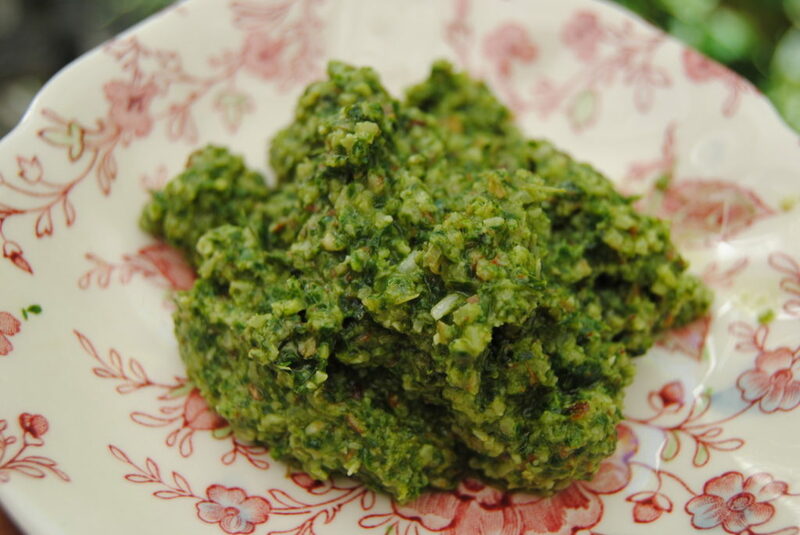 I had some extra mint and basil at home so I decided to make a batch of non-traditional pesto. It’s very easy to make and doesn’t need any time for preparing and cooking. Once made, it is a great addition to add to lots of meals! Not only is it tasty, but it’s packed with nutrients, fibre, healthy fats and proteins. Like most of my meals on this blog, it’s gluten and dairy free as well.